Summer is long over (although it was still very warm in September-October in the Netherlands) and I can only reminisce about the beautiful summer I had by looking at the summer dresses that I had worn the most. It may be already too late to buy them at the Mango store, but you might still be able to find them at the sales rack or you can just get inspired for S/S 2017. 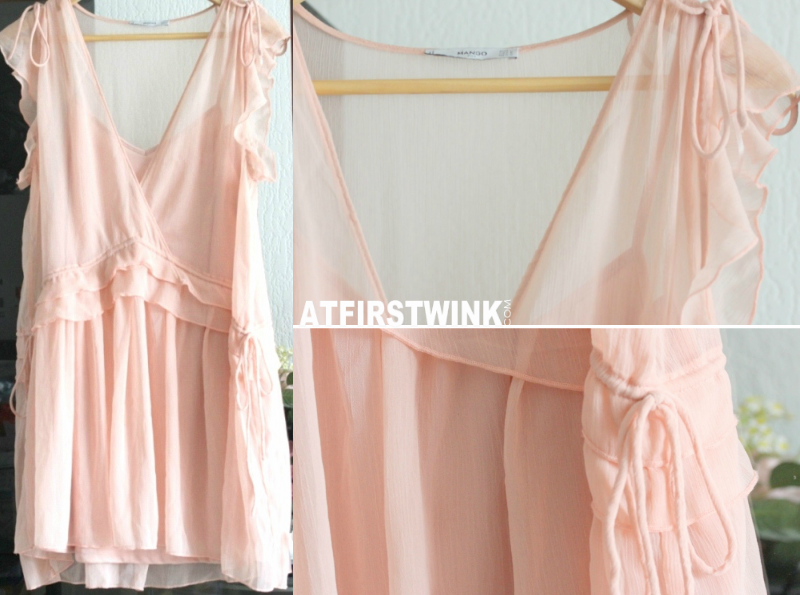 This is a sheer crepe pink dress with an attached under-dress. It can easily be removed as it is only attached by a loose and thin thread. The dress has very small cap sleeves and stringy bows on each sides and on the shoulders. The frills have a v-shape, which has a slimming effect, but on me, the frills are a bit near my hips and there is some extra fabric that folds double around the hips (I should have bought a size smaller), so it makes my hips look wider. The dress is on the short side, as it falls a bit above my knee. The straps of the under-dress is also a bit too long (too much cleavage showing! ), so I needed to alter that. When I saw this dress, I had immediately fallen for it. It is the perfect beach dress and maybe even great for a small-scale beach wedding. 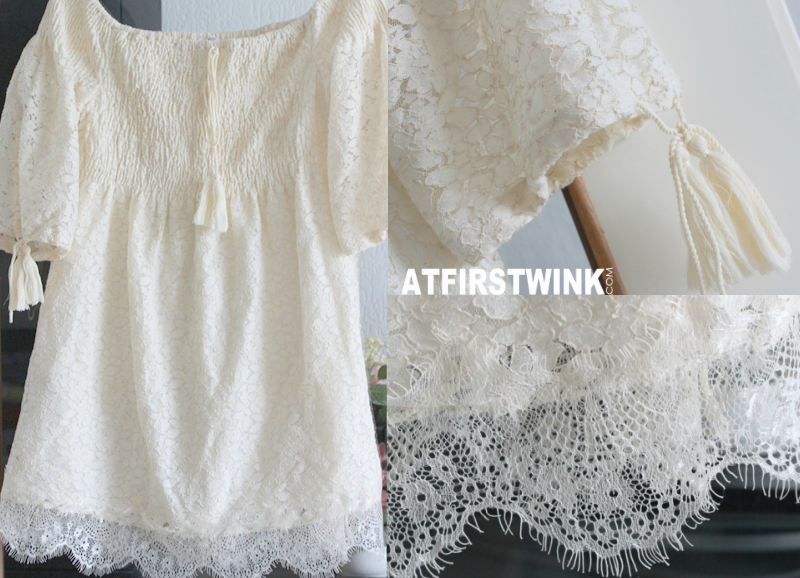 It is an off-shoulder, beige lace dress with elastic parts around the neckline and bust. The skirt part has an a-line and flows out right under the chest. The sleeves are long enough to cover the elbows. The only sheer parts are the rim on the bottom of the skirt part and the sleeves. I like how the elastic parts of the dress don't hug too tight and accentuates the thinner and smaller parts of the body. The tassels are really beautiful too. This looks a bit boring compared to the other dresses, but it has a beautiful shape. 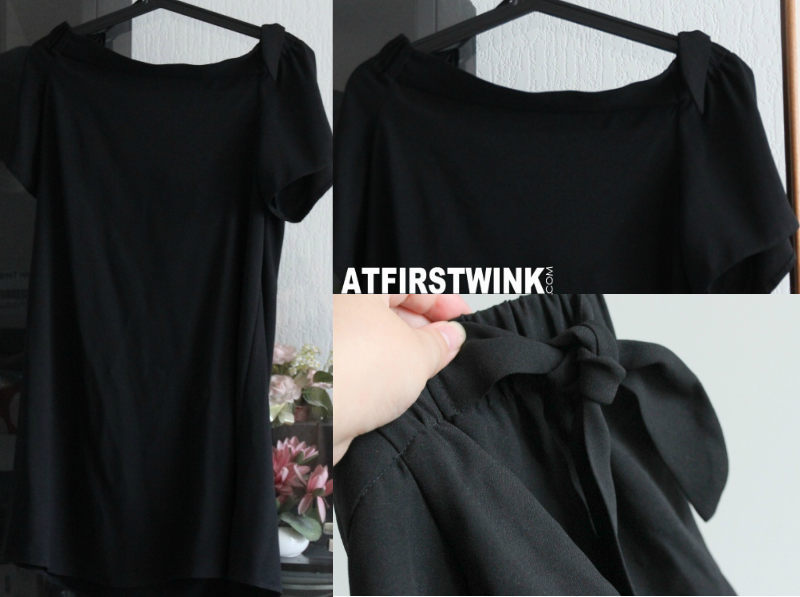 It has a straight off-shoulder neckline, a slight a-line flowing skirt, and cute bunny ear bows on the shoulders. I also like that there's only an elastic band at the sleeves part and not around the whole neckline. The fabric is thin, light, and sadly, wrinkles easy. Otherwise, it would be a great basic dress to take along on vacation.